MinistryGive is sunsetting their platform and encouraging churches to transition to Smart Giving. We want to make that switch as simple as possible! The following are answers to some of the questions that might be on your mind. Will my team be informed of these changes? Will we lose any features? Will the price of the service change? How will this transition impact accounting? What will happen to my existing givers? How do I transition my giving and givers to Smart Giving? We’ve emailed your primary MinistryGive admin (if you’re reading this, that’s probably you!) and anyone else associated with your church’s account. Those individuals will continue to receive information about the transition, but if there’s another person you’d like to loop in, send his or her name and email address to sayhello@kindrid.com! That means that if (and we’d wager it’s only a matter of when), new givers start using Smart Giving to give to your church, you won’t have to worry about an increasing monthly fee based on the increase of new gifts. And since Kindrid takes care of the merchant account processing, you’ll not only save money but invaluable hours for your admins! Because we’re so committed to helping you transition well, we’re waiving the monthly fee for all MinistryGive churches who switch to Smart Giving until October 31, 2016. Just use the code MinistryGiveSwitch when you sign up! How do we keep track of our giver information? We provide you a dashboard to track all your giver information. Test it out now! You can download all giver data in an excel spreadsheet from your dashboard. You can also add admins to your account, set up designations, and much more! This information can be integrated with you church management tool of choice. Deposits are batched and issued, less the processing fee, every business day. They will actually appear in your bank account two business days later. When do I receive deposits on these gifts? Deposits are batched and issued, less the transaction fee, every business day. They will actually appear in your bank account two business days later. How does the bank reconciliation process work? Kindrid provides a deposit report corresponding to every deposit made into your bank account. Each deposit report contains all the information about every gift and giver making up that deposit. This makes the reconciliation process simple. Over the last five years, we’ve helped churches transition from almost every giving platform to Smart Giving. We know how important it is to clearly communicate with your congregation about this new change, what it means for them, and how to make a gift. We built Smart Giving with new givers in mind. That means that after the initial, one-time 30 second registration, givers can give again with a single text, tap, or click. Because it’s so easy for a new giver to use Smart Giving, transitioning existing givers is just as simple! If you’re intentional about the way you introduce Smart Giving to your church, we’re confident every single one of your existing givers will continue giving. We love showcasing churches who switch to Kindrid. Recently, Highland Park Church transitioned their existing givers to Smart Giving. Check out their story! This is an awesome opportunity to reengage your existing givers, maybe even challenging them to increase their giving, and reach people who have never given before! We’ll equip you with everything you need to do both. Our Church Success and Engagement teams will work with you closely to make sure you fully understand (and have tried!) Smart Giving, craft a rollout plan with customized materials specific to your church, and follow up in the weeks and months after your first Sunday to make sure everything’s running smoothly. Still have questions we didn't answer? No problem! 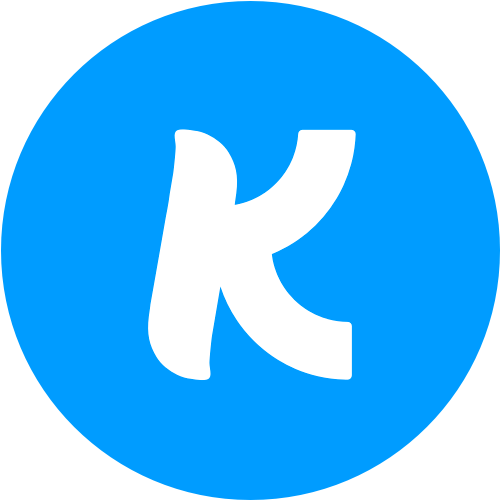 Drop us a line at support@kindrid.com!